Ais Mc: A Disease Called Love. Whilst on my blogging hiatus due to busy life/lack of internet in my new flat, I got through my fair share of books. The first of which, 'Delirium' by Lauren Oliver, was provided by my lovely sister Carla who has the best taste when it comes to books and naturally, I couldn't wait to pick it up. 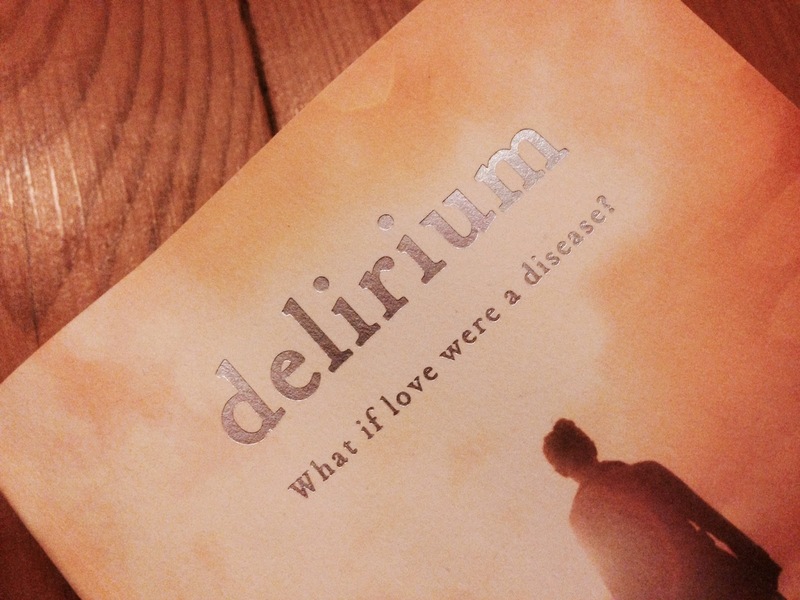 Another dystopian novel, 'Delirium' follows our protagonist Lena in her life where love or 'the deliria', is seen as a disease. To prevent the disease controlling your life, citizens must undergo a surgical procedure at age 18. When we meet Lena she is mere weeks away from her procedure and cannot wait to have it. In her eyes a life without love is a life without pain: safe, measured, predictable and happy. That is until the mysterious Alex enters her life and changes it in ways she could have never imagined. This book ticked every box for me - punchy female lead, charming love interest and untold secrets made for an exciting read that I couldn't put down. I found the concept of the book amazing from the moment I read the blurb, and Oliver's writing and portrayal of Lena was lovely to read. Reading the change of the emotions that Lena goes through is something special and couldn't of been easy to write but it was done so very successfully. Not only does she have to deal with the thought of the surgery changing her life and emotions forever, but then to completely flip that on it's head and imagine the possibility of falling in love takes you on a whirlwind ride that doesn't let up. I thoroughly enjoyed the supporting character's roles, Hana (Lena's best friend) is her stark opposite and their conversations left me drawing comparisons with me and my best friend! But what definitely makes the book is Lena's relationship with Alex. It's development was so delightful to read and I got such a soft spot for him as the book went on. Oh my gosh - this sounds amazing! Literally I have never heard/thought of such a concept! It so true and yet so... hmm, i need to read this. Also your reviews are delightful to read - insightful, thoughtful, and thankfully does not include spoilers.